India is a country known for its diverse and vibrant culture, delectable food and unique experiences to cater to every wanderlust-seeking nomad from around the world. It is a golden land waiting to be explored. What is notable is that visiting India is like visiting multiple countries within a country, with every state offering a completely distinct experience to travellers. Topping the charts for its weather, visit this IT capital. You are in for a treat here, and we mean it literally, with their amazing food at restaurants like Vidyarthi Bhavan, Karavali and Phobidden fruit. If you wish to experience a beautiful sunrise then take a short drive to Nandi Hills, a place that can feed your wine palate right with its popular Grover Zampa vineyard. If time is by your side, then do visit nearby towns Chikmaglur or Coorg (a popular getaway for locals). After this exhilarating experience, hop on to any one of the Bangalore to Goa flights to get to your next sizzling destination. Welcome to the city of the most exotic beaches. It has a little something for everyone, from family trips in luxury resorts to flea markets for cheap thrills, Anjuna being the most popular, followed by the Saturday Night market. Visit the Fountainhas – A UNESCO site that houses the last surviving Portugese families with exquisite architecture. The trance parties with the hippies and isolated beaches like Agonda should definitely make it to your wish list too. 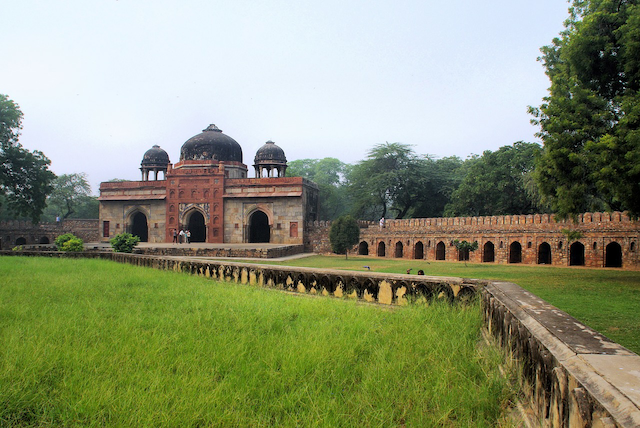 Delhi is one of the most architecturally rich cities in the country. It is home to the grand Red Fort and several other historical monuments scattered all over the city which take you back in time and are a part of its rich heritage. There is Rashtrapati Bhavan (President’s house), Qutub Minar (the tallest minaret in the world made of bricks and a UNESCO world heritage site) that is right next to the popular rust-resistant Iron Pillar created as a dedication to Lord Vishnu in the 3rd to 4th century, Jama Masjid, India Gate and Lotus Temple amongst many others. You simply need to get a ticket to the Ho-Ho bus to get a complete Delhi Darshan. Not to forget, don’t forget to shop till your drop in the popular flee markets (Sarojini Nagar & Janpath) while you’re there! 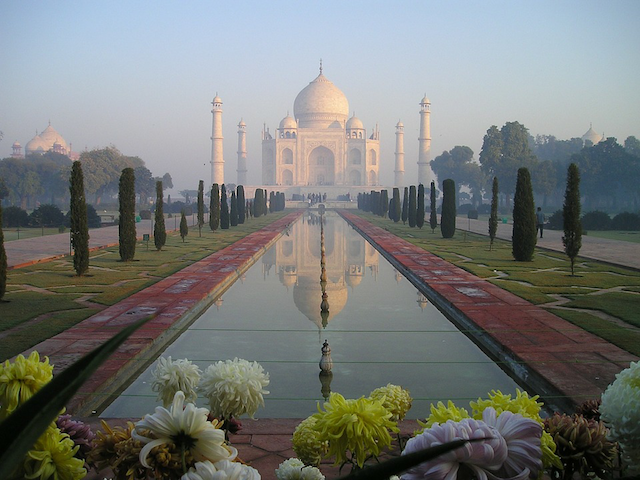 This city is a home to one of the 7 wonders of the world, Taj Mahal, which is open from sunrise to sunset. The Agra fort is an essential visit as you can learn about the history of the rulers and the construction of Taj Mahal. Agra sweets are extremely popular and you must try the ‘Petha’ which happens to be a local specialty. Don’t forget to pack some for your family and relatives too! 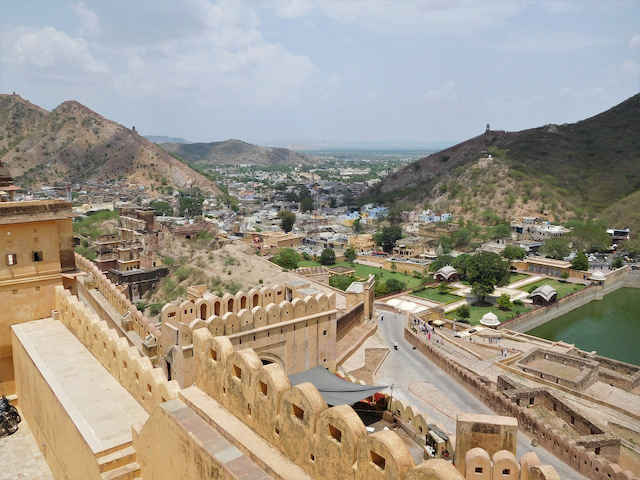 If you want to experience Indian culture at its best, then Jaipur must be on your wishlist. The local culture and cuisine and the sight of the magnificent forts and palaces is sure to transport you to the bygone era. Amer Fort, Hawa Mahal, Jal Mahal, City Palace and Jantar Mantar are a must-visit for history buffs. Don’t forget to get your hands on jooti’s and kurti’s from the local markets. For those with a sweet tooth, do try the ‘ghevar’. For a complete Rajasthani experience, from the culture, to food, to dance etc., do visit Chowki Dhaani on the outskirts of Jaipur. With all this and more on offer, how about hopping on a flight to India to explore this mythical land!